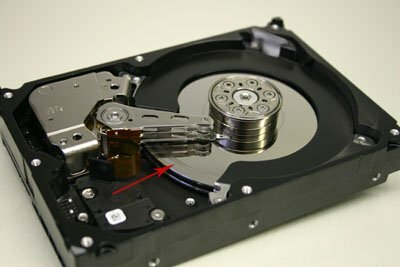 What happens when your hard drive fails or becomes physically damaged? 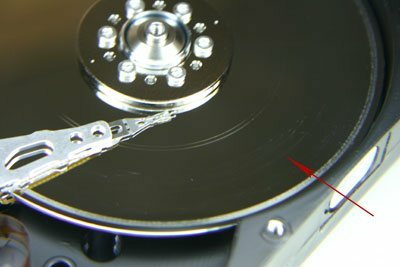 If a hard drive suffers a head crash, platter damage, or spindle motor problem, these are typically classified as mechanical failures. 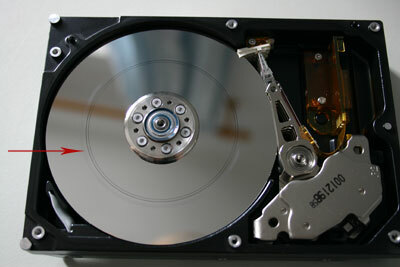 Mechanical failures are some of the most complex problems associated with hard drives. In most of the cases of physical damage, the data are successfully recovered. However, sometimes data recovery companies are unable to get data back regardless of their best efforts. Here are photographs that confirm severe condition of the hard drives where data recovery cannot be completed. In this case, the primary reason for the data not being recoverable is that the laptop hard drive has platters made of glass that shattered when the laptop was accidentally dropped. There is no way to get data back. 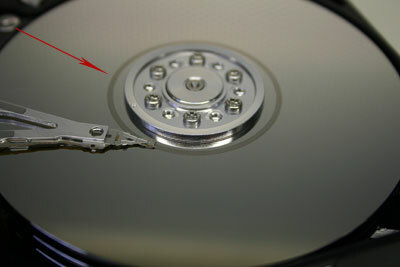 The magnetic platters of the hard disk have been scratched by the read/write arm of the drive. This might happen when anxious users try to start the computer again and again after the hard drive has failed (usually caused by dropping it). Even after the drive crashes, its read/write arm still rests on the platters and damages it when the drive starts to spin. Sometimes due to the overheating, the platters, after being used for a long time, are expanded, and in the process of spinning they happen to touch the read/write head. However, such a small touch may destroy them completely. It is sometimes accompanied by an odd noise from the disk. This hard disk had the symptoms of clicking noise. After our engineers have inspected the hard disk, they found that the head's wrong position (turned aside) caused a number of scratched rings on the platters. 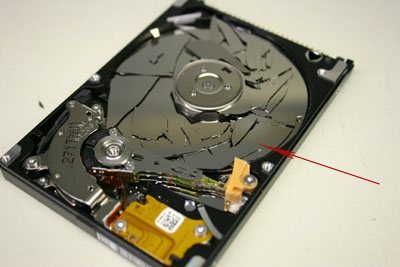 The hard drive failure was caused by a drop from height, and magnetic surface of the platters has been scrapped (aluminum) or shattered (glass). You try to start the computer repeatedly after hard drive has failed. Its read/write head still rests on the platters and damages it when the drive starts to spin. You overwrite the file. The more times you overwrite it, the less chances you have to recover it. The hard disk accidentally comes into contact with a powerful magnetic force that redirects the polarity of the magnetic particles on the recording surface.